Nope, we're not asking you to give up coffee. We aren’t going to tell you to get rid of it. Heck, no. How else would you survive a day in this gloomy world? Truth be told, most of us here can’t function unless we have a good dose of caffeine in our system, first thing in the morning. And while the first cup of joe does give a powerful jolt to wake up our groggy brain, the second and the third mugs are only there to make the matter worse. They are your way to deal with stress, boredom, peer pressure and hunger. Too much of a good thing (even fruits, veggies and nuts) can be harmful too and we’re talking about a consistent supply of sugar-laden creamy coffee here (not exactly a good thing), right? 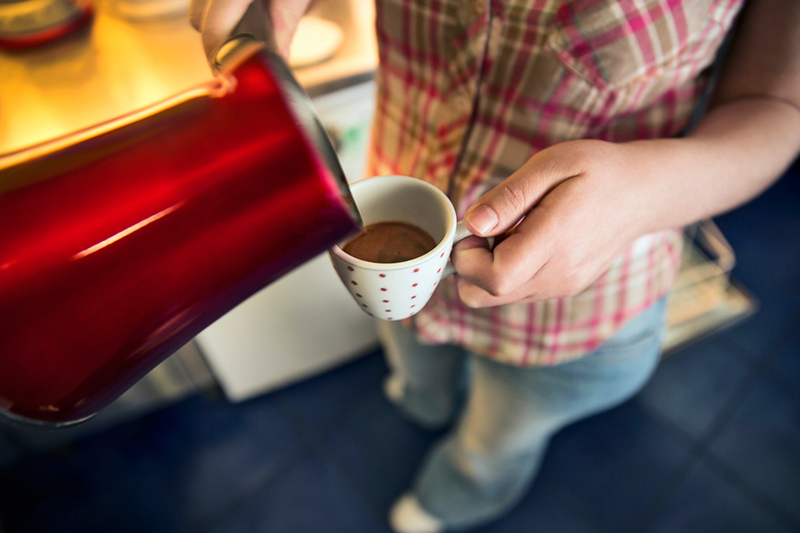 Instead of filling up your system with one mug after another, give your caffeine addiction a break and try some of these healthier alternatives. You can make them ahead at home and refrigerate for office. Green has never been this in fashion before. Be it veggies, desserts or teas, if it's green, it's healthy. Take matcha green tea as an example; this newbie is being touted as an antioxidant, detoxifier and energy booster. A good dose of this green powder will keep you going until lunch hours. Try this creamy iced matcha green tea latte, lightly sweetened, with a subtle hint of vanilla — sounds fancy, no? We all know the benefits of the golden ingredient, turmeric. Known as the golden milk, this warm and delicious turmeric latte can do what your coffee can't. It boosts your digestion, nourishes your metabolism, and (the best of all) it gives you that inner glow better than most highlighters. Want the coffee kick without the after-effect crash? Try this maca hot chocolate recipes. This Spanish herb is famous for its coffee-like buzz minus the side-effects. And just like coffee, you can make it hot, cold, with honey, in a tea infuser, in a French press, or even in a traditional coffee machine. Besides helping with digestion, peppermint tea will freshen up your breath and calm your stomach after a meal. Can coffee do that? Nope.